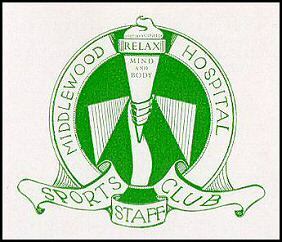 The Middlewood Hospital Staff Sports and Social Club during the 1960's. The following information and photos extracted from the hospital magazine as printed at the time. This was the logo of the Hospital Club. It includes the words 'Relax, Mind and Body'. Many of our readers will have heard that the new staff club and social centre is to be built in the hospital ground and the club is attempting to raise some £ 2000 towards its cost. There will be many who have heard of the staff sports club but are not really aware of its activities or needs. This section of our hospital magazine is designed to remedy this lack, and create interest in the club. Below you will find news and information about the different sections which go to make up the club, and if further information is required, the secretaries of various sections will, no doubt, be only too pleased to give more details. This is an artist's impression of the new Sports and Social Centre in 1967. 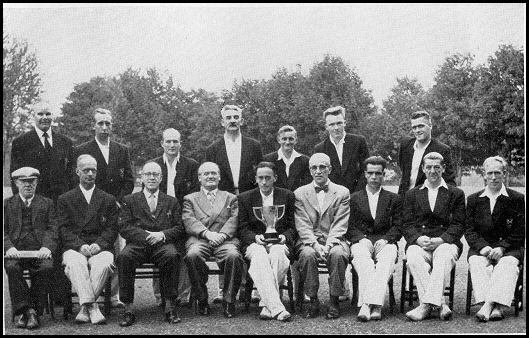 The cricket winning team of the hospital with Dr. F. T. Thorpe, officers and friends in 1961. The grand day was on September 12th in celebration of our cricketers winning the cup for the 6th time. 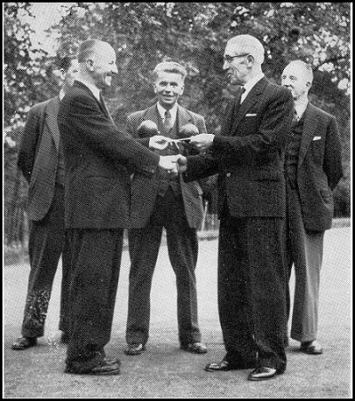 The dinner was attended by Doctor F. T. Thorpe and Mr W. M. Dobson, who presented the prizes. Matron Miss I. J. McCombie and the Chief Male Nurse Mr R. Nears, as well as a host of representatives from Lincoln, Derby, Nottingham and Leicester were also present. What a good time they had. The food and the services were excellent and I am sure that Mr Stanmore and his staff must have put a lot of work and thought into the arrangements. Towards the end of the bowling season, we look back on many enjoyable games in the Inter Hospital Bowling League and the visits to other Bowling Clubs in the Sheffield district. The hospital team hasn’t done quite as well as last season, but if we assess the season on the amount of enjoyment obtained, the number of new friends we have made with the local Bowling Clubs, and the way in which they have entertained us, then we can safely say that we have had an excellent season. In the Inter Hospital Bowling League the gentlemen from Middlewood finished as follows: Played 12 – Won 6 – Lost 6. The team occupying 4th position on the League Table. All games were arranged against local clubs in the Sheffield area. 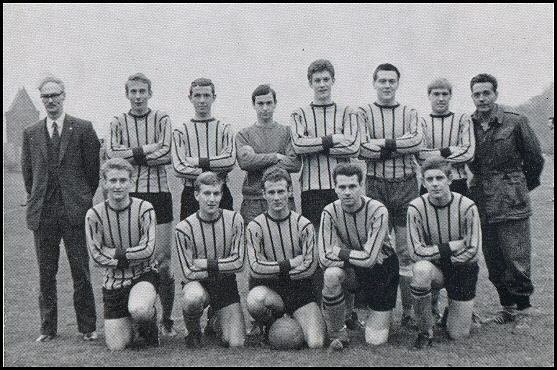 The match “Championship v The Rest” was played at Saxondale Hospital on Tuesday 19th September 1961. Fifty four gentlemen took part in the Middlewood Bowling Competition. 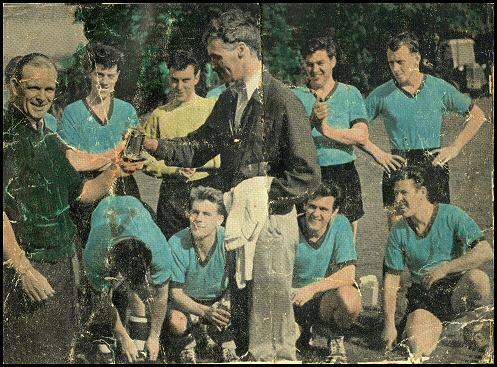 The final was played on Thursday 5th September 1961. Bowls We want everyone employed at Middlewood hospital to become members of the sports club. The bowls club holds a meeting about once a month when the season opens in April. We are members of the Sheffield amateur bowling section and play about sixteen league games, either at home or away during the season. Friendly matches are also arranged and social evenings as well. Practice night is Monday on every week during the season, commencing at 6.30pm. 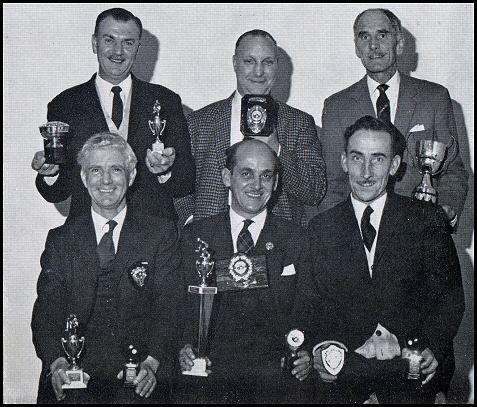 We also arrange competitions amongst members of the club for which trophies are presented. These trophies are usually bought by the members during the year, except the Woodley trophy which was graciously presented by Mr G. Woolley when he retired from the hospital as a charge nurse, and is played for annually. We have about sixteen members but we need many more. Our Prize giving this year was held at Wadsley House Social Club on October 3rd. 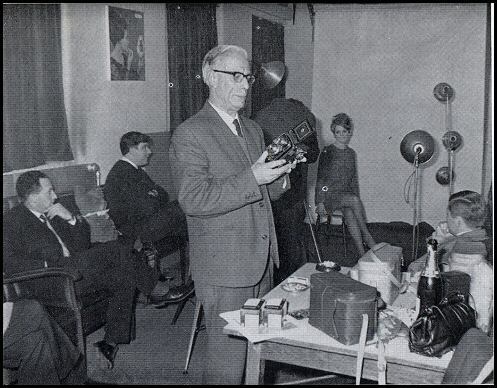 Mr Jones presented the prizes and a very enjoyable evening was spent by everyone present. Badminton has been a flourishing section of the Sports Club for many years, and because of the excellent hall and playing facilities, Middlewood is the envy of all the other local clubs. We play in the entertainment hall. Match night is Tuesday, club night is Wednesday and play usually last from about 7pm to 10pm. All the necessary equipment is there but you have to provide your own shoes and suitable clothing. L. to R. (Standing) K. Brack, C. Graham, G. Nicholls, M. Eyre, D. McCairns, G. Wheland, D. Berrisford, J. Butcher. The amateur league team are finding a much higher standard of football as fitness is demanded in Division 2 more than Division 3. 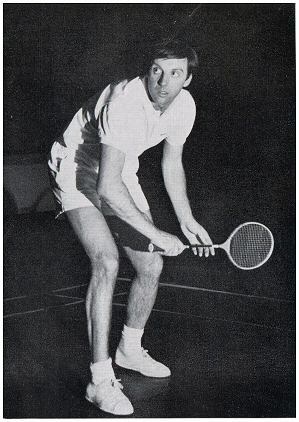 Even so, of the first ten games played, eight were won, one drawn, and one lost. The team spirit, such a hard thing to define is as good as ever, if not better. Training is now held twice weekly on Tuesday and Thursday evenings, and they certainly work hard. 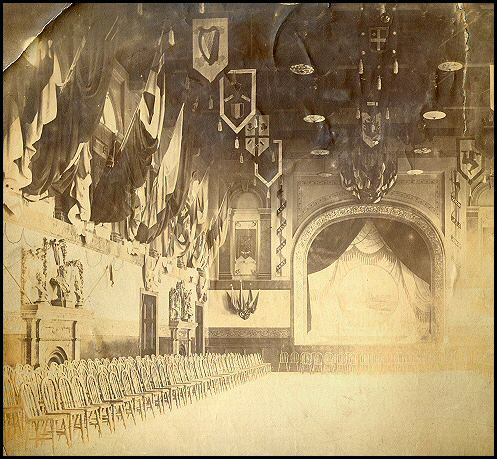 The entertainment hall was well filled with nursing staff both past and present, and relatives and friends of students now in training. Principal Nurse Tutor, Mr Harold Johnson gave his report by saying that there were ninety nurses training in the new Educational Centre, which were the largest number they had had since 1959, and all our nurses were successful in recent examinations. Mr Johnson added that the new Education Centre provided specialised needs for the psychiatric nurse in training. 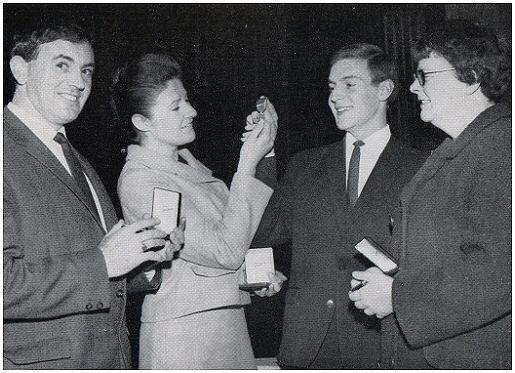 During the ceremony various people were awarded with medals and certificates (As above). The hospital camera club is at present enjoying a full programme of many interesting and varied activities. We have a monthly print competition, slide shows, lectures and competitions against other photographic clubs. This year we have a fair amount of success in outside shows and competitions. One of our youngest members, Andrew Story, took 1st place in the Junior section with Mr. Mawhood and Mr. Story (senior) taking 1st and 3rd places in the Adult Section of the recently held Worthley and District Arts Festival. The Club also came 2nd in the Sheffield Photographic alliance exhibition held at Rotherham Museum. Quite a fine record for such a small club. The Club meets every Thursday evening at 8 o’clock in the M. D. I. block. 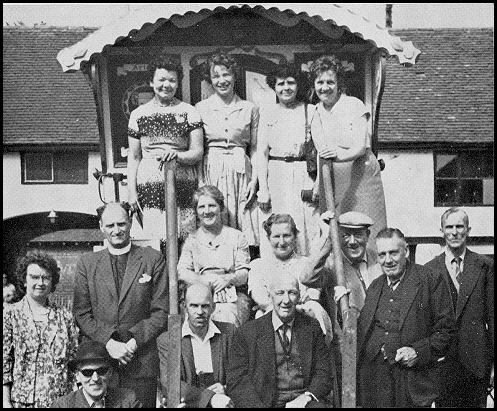 The Choral Society Group during a visit to Alton Towers in 1963. All above photos and most of the information extracted from the hospital magazine printed in 1961, 1963 and 1967. Supplied by Eric and Doreen Crowther who worked at the Hospital for many years. 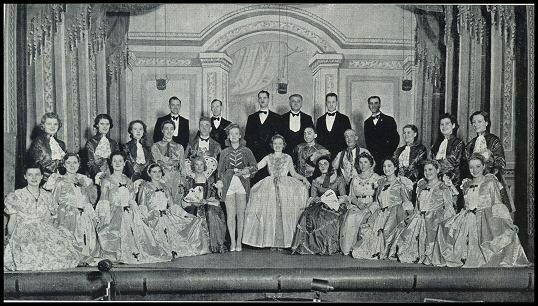 Staff pantomime at the entertainment hall in 1941.